While there might be a select few that believe there is no instance of discrimination in a post-racial society where an African-American president was elected, most people recognize that some form of prejudice will always exist. It is natural for the human mind to draw distorted views based on limited observation. For instance, the short kid with crooked glasses; outdated clothes; and shy nature will normally not be picked first on a playground basketball game. However, looks can be deceiving and he could surprise with wizardry dribbling skills and a potent outside shot. The same can be said within society where some people resort to stereotypes that consciously or sub-consciously lead to hiring practices that wrongly penalize women and minorities. The question is to what extent do our prejudices explain the gender and racial gap, which is not as straight forward as it looks. In order to prove discrimination, some believe statistical disparities offer enough proof. Harvard economist Ronald Fryer attempts to explain the reasons for the black-white wage gap that shows blacks earn wages that are 30% less than whites. While that appears to prove that racial discrimination still exists, there might be a reasonable rationale behind the pay disparity. As detailed by Dr. Fryer’s study, a portion of this difference is due to differences in human capital. However, his findings suggest that a third of the gap can be attributed to labor market discrimination, thus suggesting that government intervention is still necessary. Then there is the issue of the gender wage gap. Anna Chu and Charles Posner of Center for American Progress reports that women earn 77 cents for every dollar paid to men. There are wide disparities among states with the best equity occurring in Vermont and the widest disparity occurring in Wyoming. While both appear to suggest that a healthy amount of discriminating activity is taking place, there is another side to the equation. June O’Neill of the American Enterprise Institute offers an alternative reason for the disparities for both race and gender. Dr. O’Neill attributes most of the racial wage gap to human capital differences. While acknowledging the advances made by African Americans in various fields, she believes that there are variances in cognitive skills between races. For instance, Dr. O’Neill cites evidence that shows that blacks score approximately 100 points lower than whites on various components of the college preparatory test (SAT). Also, a separate Armed Forces Qualifications Test showed that pay differences can be explained through divergent scores on cognitive skills. Lastly,when correcting for these human capital differences, she maintains that there is minimal differences in pay. As for gender pay, Dr. O’Neill believes the wage differentials are a result of family choices, rather than discrimination or human capital differences. While there has been improvement where women now earn approximately 81 percent as much as men compared to 59 percent in 1960, this current gap is due to career disruptions as women are more likely than men to leave the labor force temporarily to raise their children or work part-time. If that is the case, then that can explain why efforts, such as the Civil Rights Act of 1964 and federal anti-discrimination regulations have not been able to fully close the gap. Even though it is encouraging to see the gains made by women over the last few decades, a Brookings report from Richard Reeves and Joanna Venator shows that additional concerns remain. Despite the gains in college degrees and pay, women remain less mobile than men. This means that they are more likely to earn less than the families they grew up in. They suggest that one possible reason for this is that women are more likely to be single parents than men. Therefore, addressing family composition and encouraging marriage before having children could narrow the gap. Alternatively, Jane Ferrell and Sarah Jane Glynn of Center for American Progress infer that labor market discrimination of women is still present. Their study suggests that differences in gender pay go beyond family choices and infer that discrimination can be a factor. Their assertions are supported by data showing that 41.1 percent of wage differences are unexplained, thus legislation, such as passing the Paycheck Fairness Act where employment discrimination faces stiffer penalties and a lower burden of proof, is critical. While the racial and gender gap remains persistent today, opinions vary on cause and course of action. If labor market discrimination remains prevalent, then affirmative action or anti-discriminatory measures remain the best course of action in addressing any racial or gender wage deficiencies. If the racial gap is primarily due to human capital differences, then emphasis should be placed on education and labor force development strategies, rather than burdensome regulations. If the gender gap is due to personal choice, then further legislation would not be necessary since their decisions are voluntary and unrelated to bias. If there is one thing that both Republicans and Democrats can agree on, then that would be the need for tax reform. Unfortunately, their paths to achieving true reform are drastically different. Even though it is acknowledged that cutting taxes on the wealthy will boost economic growth because they will likely invest in capital that will yield a higher rate of return, most of those benefits will revert to the highly skilled. In America, unstable family structures and declining public education are creating an unhealthy division between those with marketable skills versus those without. By simplifying the tax code and diverting new revenues to boost education and workforce development, we can help diminish the skills gap. A simpler tax code will require strong political will with three particular entities posing as significant obstacles. Those three entities include the middle class, non-profit organizations, and corporate lobbyists. In order to achieve a simpler tax code, there must be a reduction in tax expenditures, which come in the form of exclusion, deduction, and deferral of tax liability. Even though a simpler tax code would reduce burden and increase efficiency, it could potentially increase inequality. One of the main avenues to achieving a simpler, more efficient tax code would be to reduce the mortgage interest and charitable deductions. Reducing the mortgage interest deduction would be very unpopular to the middle class, yet it would extract the most tax revenues that could be reinvested back into the low- and middle-income households in order to boost their workforce skills. By reducing the tax benefit for giving to charities, that would threaten a key revenue source for non-profit organizations and make it more difficult to distribute needed resources to the most vulnerable of populations. Even though it is more symbolic because its cost is not as high as the mortgage interest and charitable tax deductions, it is more politically feasible and market-enhancing to limit the various corporate tax credits and deductions currently available to industry. Certainly, those businesses with the political connections to craft legislation to benefit their industries will be harmed as a result. However, it would allow less politically connected industries to compete on a more even playing ground, since their tax liabilities would be more similar. In that case, innovation, customer service, and product quality will be the determinants of success, rather than governmental kickbacks and subsidies. In order to enhance our workforce, a two-pronged attack is necessary with quick fix solutions for updating adult skill sets to adjust to new economy needs and more investment in early child education. Older workers must change their mindsets toward technology and correct a perception among employers they are not trainable. Rather than pursue expensive graduate degrees with questionable value, adults should consider acquiring certifications in specialized fields, such as computers or health care. By upgrading funding to local Department of Labor centers, citizens would gain greater guidance and make better career choices. As for schools, they must find ways to increase academic performance despite inherent challenges. This must start with better parental training and access to early childhood education resources. Even though the U.S. spends a significant money on educating students on a per student basis, there is a problem with how it is allocated. More resources need to be devoted to identifying and treating learning disabilities at an early age in low-income schools. There also needs to be strategies in addressing discipline problems where a small group of disruptive students can drastically affect the learning of all of the other students. Until those two issues are addressed, then closing the skills gap will be cost-prohibitive and futile. Each of these workforce development initiatives will require more funding, so it is important that tax reform be achieved to enhance rather than reduce tax revenues. This can still be done without raising rates, but it will require sacrifice from three key constituents: the middle class, non-profit organizations, and corporate lobbyists. When people wonder why tax reform is so difficult, consider this. Prudent tax reform would be political suicide for legislators to support because Americans are more interested in their selfish pursuits rather than the collective pursuit of a broader, prosperous nation. A portion of the Voting Rights Act was struck down by a vote of 5-4 on June 25, 2013. Specifically, Section 4 of the Voting Rights Act was declared unconstitutional, which nullified Section 5. Within Section 4, there was a formula that determined whether certain states could make changes to their voting registration procedures. If those states wanted to make changes, then there was a process where the federal government could prohibit those changes under Section 5. Fact or Fiction: Section 5 only applied to Southern states. Fiction: While most of the Southern states were covered under Section 5, the state of Alaska was also included for not including native language of the Eskimos on their ballots. It should also be noted that North Carolina and Florida are not covered throughout all parts of the state, but many counties within North Carolina and five Floridian counties had to abide by Section 5. There were also five counties in New York; four counties in California; and two counties in South Dakota that were not exempt. Lastly, two townships in Michigan, Allegan County and Saginaw County, also were subject to Section 5 requirements. Fact or fiction: States will now be able to institute literacy tests. Fiction: Section 2 of the Voter Rights Act remains in place and prevents states from instituting voter registration laws that would impose any type of literacy test. Fact or fiction: In all likelihood, voter turnout among the minority and poor will fall in states that institute voter ID laws. Likely, But Not Fact: Most changes in states will involve imposing voter ID requirements. When looking at driver license rates among races, African Americans and Hispanics are less likely to have a driver’s license than whites. While they can obtain a state-issued ID, that involves multiple steps and requirements differ across states, so that will lead to greater confusion and likely discourage some from voting altogether. Even though media scrutiny might spark previously uninterested voters to vote out of anger, that will likely dissipate over time. Fact or fiction: Revoking part of the Voting Rights Act will not impact early voting procedures. Fiction: Typically, states will try to curtail early voting procedures in the name of preventing fraud. In order to facilitate greater turnouts, some jurisdictions offered more flexible options to vote on the weekend and extending times when one can vote. On traditional Tuesdays, it is possible that some voters will not be able to get off work in time to vote. Fact or fiction: Obtaining a state-issued ID is free. Conditional Fact: This is commonly misunderstood. While obtaining a state-issued ID will be paid by the state, that does not include the potential cost in obtaining documentation showing your identity. You cannot be issued a state ID unless you have documentation proving who you are. Requirements vary by state, but if you cannot obtain your birth certificate or Social Security card, then replacing either will be an extra cost. Also, women, who must change their names due to a change in marital status, may be subject to additional costs in obtaining adequate documentation. Fact or fiction: The Supreme Court ruling means that nothing can be done to prevent voter disenfranchisement. Fiction: Congress can pass alternative legislation that addresses the concerns outlined by the justices. One option that can minimize voter disenfranchisement is to allow the federal government oversight of all states, who wish to change their voter registration procedures. Justice Roberts uses the example where black turnout in Mississippi was higher than black turnout in Massachusetts to demonstrate the unfairness of subjecting to a stiffer requirement when there are possible more egregious examples of discrimination in states not covered under Section 5. However, one can surmise that it will be hard to get Congress to reach consensus on allowing the federal government the power to approve any changes to voting practices in all states. Fact or fiction: Changes in voter registration procedures are free from political motivations. Fiction: While there might be pure motives from some voting officials wishing to improve the legitimacy of elections, it is also undeniable that minorities are traditional Democratic voting blocs. In close races, efforts to discourage even a small number of voters can be the difference in whether a candidate wins an election or not. 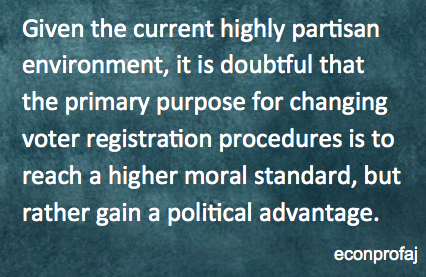 Given the current highly partisan environment, it is doubtful that the primary purpose for changing voter registration procedures is to reach a higher moral standard, but rather gain a political advantage. Immigration is a divisive topic. Whenever a new segment of workers enter the market, it causes apprehension and distrust. In the early 20th century, it was African American laborers, who were despised as they were willing to do jobs at wages that whites were not willing to take. In the late 20th century and 21st century, it is foreign workers, who come from countries that pay much lower wages. Even when it comes to highly skilled jobs, they are willing to work at a fraction of what Americans are accustomed to. Both caused dissension and angst with many Americans not fully grasping the role that both workers played in our country’s prosperity. While Arizona, Georgia, and Alabama are passing laws to restrict immigration, St. Louis is openly courting immigrants in order to stem a steady loss of population. Loss of industry and perceived unfriendliness to minorities are key factors for the steady decline in population since 1950. In order to counter this negative trend, city leaders have been openly courting immigrants to reverse it. Even though many are aware of the negatives of immigration, Jack Strauss, Director of Simon Center for Economic Forecasting at St. Louis University, paints a different picture. He mentioned that many of the foreign-born immigrants are highly skilled and offer needed skills to the area. Finding ways to increase their presence would improve the vacancies that are a large burden to the area, along with boosting home prices. Even when considering low-skilled immigrants, their impact is not as bad as the public would believe. That is because they are less likely to use food stamps and receive less financial assistance than other low-income groups. In Strauss’ estimation, St. Louis has not been able to maximize their economic potential. 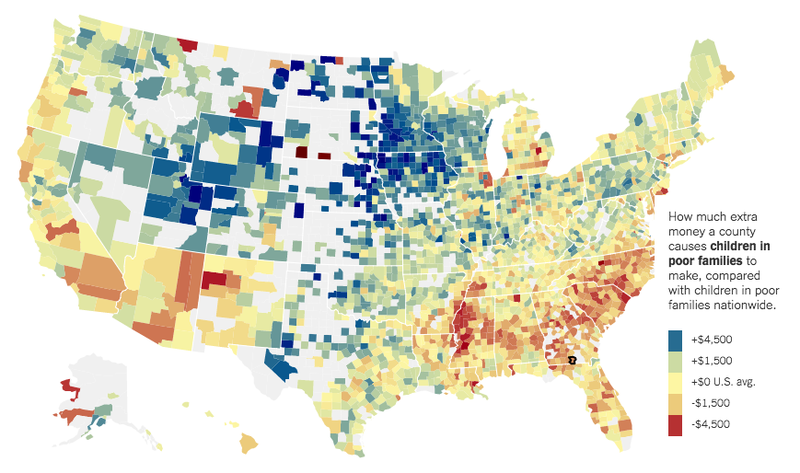 This includes missing out between 4-7% of income growth for the city and 7-11% for the overall region. They could have reversed poor job growth inflicting the region where they could have experienced 4-5% more job growth. Lastly, the unemployment rate for both whites and blacks would have dropped by approximately 2%. The rate of entrepreneurialism among immigrants is much higher than native-born Americans, so they are job creators rather than job takers. Strauss’ study showed that immigrants are 60% more likely to be entrepreneurs. In particular, Bosnians have been very successful in revitalizing parts of South St. Louis by moving into older neighborhoods and starting businesses in diverse sectors such as bakeries, butcher shops, coffee shops, construction, heating and cooling, and even a truck-driving institute. Despite the efforts by some St. Louis area officials, they have been hamstrung by a Missouri state legislature bent on restricting the flow of immigration. Even though many of the measures led by Republicans have not been successful, it might create a climate of unfriendliness that turns off immigrants to St. Louis. In comparison to other top metro areas, their proportion of immigrants within the St. Louis region is low at 4.5%. The low number of immigrants is one reason cited for their poor economic growth and stagnant income growth. Despite public support from St. Louis Mayor Francis Slay and St. Louis County Executive Charlie Dooley toward immigrants, Strauss suggests further strategies are necessary to attract foreign-born talent. He cites efforts in other metropolitan areas where they are openly courting a more diverse workforce. This includes connecting them with key resources from governmental and nongovernmental agencies, assistance with various social services, and offering career and leadership opportunities. Of course, it would be ideal if job creation could occur from domestic citizens. Most income earned from domestic residents will circulate within the same communities. On the other hand, immigrants, who have left family back in their home country, are likely to give money back there. That will offset the gains that their presence brings to the U.S. However, occupying one vacant home, creating one job from a small business, and paying sales taxes from income earned on a job is better than experiencing neighborhood blight, rising unemployment, and declining services from lack of tax revenue. It is time that we open our blinders and embrace immigration. They enhance, rather than hurt communities. Surprisingly, there has not been much of a movement promoting economic literacy. A cursory Google search resulted in very few relevant hits. 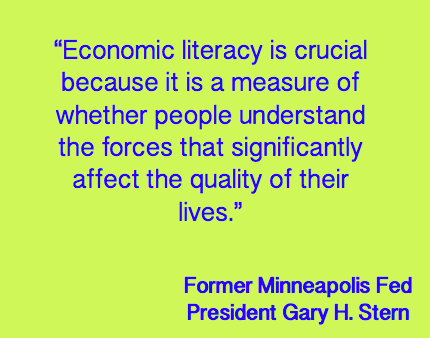 There was an instance where the Minneapolis Fed co-sponsored an economic literacy symposium in 1999 where they looked at integrating financial education in school curriculum. However, there were very few other initiatives. Certainly, it is important when one learns how bad debt can impact your ability to buy a home, land a job, and retire comfortably. While that is one aspect of economic literacy, we also need to be aware how economics play a role in our jobs, community, and even our household. We need to be cognizant of the role our U.S. Congress, state and local politicians have in shaping policies that directly impact our way of life. Therefore, it is critical that everyone be economically literate. Economic literacy is defined as the competence in identifying and evaluating economic concepts as it relates to personal finance, the economy, and political systems. When one possesses a sufficient level of knowledge in each of those three areas, do not be surprised if that does not result in higher living standards. All individuals should be well-versed in personal finance principles. We need to understand how to work money in our best interests, rather than have money work against us. This means understanding how to open a checking account, rather than using check cashing services, so that you are keeping more of your income. It also involves learning how to budget properly, so that you can avoid debt, which destroys wealth. Lastly, one has to have basic knowledge on how the bond and stock market works because both can be vehicles in enhancing wealth, as long as you properly manage the risks. Basic economic principles are applied in every aspect of our life and that is due to the principle of scarcity. Scarcity is acknowledging that while our wants might be unlimited, our resources are not. There are three types of resources. Natural resources include water, energy, and land. Labor is another resource and is the primary source of income for workers. The last resource is capital where resources are used to make more resources. One example is investing in a video camera, so that one can produce films. A cursory look at our energy bill, paycheck, various appliances and technology used at home and work lets you know that nothing is free. By applying logic and common sense, one can improve decision-making that will allow one to make more efficient use of all of those resources. Whether we like it or not, politicians pass legislation that will affect our quality of life positively or negatively. We want to know that taxes taken out of our income will be used properly in order to enhance our quality of life. If we recognize that actions of local businesses and our neighbors affect us negatively in the form of pollution or loud music, then we want mechanisms in place to minimize the cost and burden to us. With jobs being scarce, policy makers can make a difference by crafting solutions that boost our educational skills, facilitate economic growth and job creation, and protect the rights of both employees and employers. If we do not conduct proper research on the background and behavior of our politicians, then do not be surprised when their performance does not align with our interests. Please take the time out to review my blog on a periodic basis. 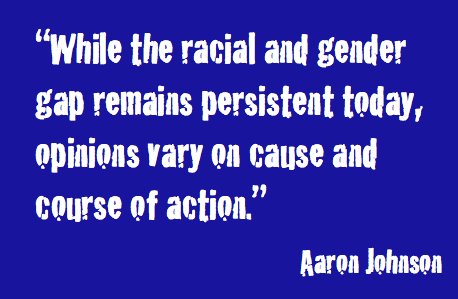 If you are on Facebook, then do a search on Economics Professor Aaron Johnson and click “Like”. For the Twitter fans, follow me @econprofaj where you can stay up to date on my latest work and other media content. Then there’s LinkedIn.com where you can connect with me. Lastly, I am also on Tumblr. Improve your knowledge of money and the economy by following me. 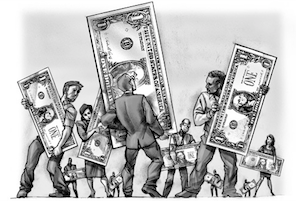 Is Two-Tiered Minimum Wage The Elixir for Poverty? During Obama’s State of the Union, he brought up raising the minimum wage from $7.25 to $10.10 an hour. If Congress passes this piece of legislation, then all employers cannot pay any worker below $10.10 an hour. This issue will certainly face stiff opposition in Congress, who are concerned about burdening employers in an already difficult economic environment. However, poverty and income inequality remain troubling concerns that need to be addressed. Then there’s the troubling age unemployment gap where the teenage unemployment where it is at 18.8%, compared to adult men of 5.3% and adult women at 5.1% as of January 2015. Is it not possible to find common ground by offering a two-tiered minimum wage that could be a more effective tool in addressing poverty, while providing teenagers with more opportunities to increase their workforce skills? Proponents believe that a higher minimum wage will help lift the working poor out of poverty. It is certainly difficult to raise a family on $7.25 an hour. If a low wage worker can maintain the same number of hours, then obviously earning an extra $2.85 an hour will be very helpful. This extra income can be beneficial to relatively low income communities, such as Albany, GA, which could see more economic activity as more dollars circulate throughout the community. However, there are also critics, who believe that raising the minimum wage will increase labor costs and lead to more unemployment. Even though that makes intuitive sense, empirical data has not proven that raising the minimum wage significantly decreases unemployment. On the other hand, research is not conclusive as to whether a rise in the minimum wage reduces the number of hours worked or a loss in benefits. For instance, an individual could still be worse off if a higher minimum wage means results in significant hours being cut. For instance, a worker making $6 an hour and working 40 hours a week ($240 weekly wage) is better off than making $10 an hour, but seeing their hours cut to 20 hours ($200 weekly wage). Even if their hours are not cut, then would they be better off if employees had to bear more of their health care costs. So which side is right? That’s debatable, but innovate policy prescriptions could end up satisfying both sides. Most economists believe that current minimum wage legislation is poorly targeted. Rather than addressing the issue of households not receiving enough income to get out of poverty, it mostly impacts teenagers, who find their services underutilized by firms opting to go with more experienced workers. This wage inflexibility has hurt our youth significantly. When looking at the sustainability of the US economy, we need to find ways for our youth to work. They learn at an early age about dependability and the value of working consistently. It also enables them to develop their skill sets and attain real world experiences that can help shape their future career possibilities. When they cannot find work, that can lead to less than desirable employment outcomes in the future. In order to solve this problem, why not go with a two-tiered minimum wage where the minimum wage is $7.25 an hour for workers between 16 and 19 years old and allow the minimum wage to jump to $10.10 an hour for workers 20 years or older. This would serve two purposes. First, it will make teenagers more marketable, so that they can gain valuable work experience. Lastly, it incentivize youth to seek more education through either college or trade school more worthwhile because working full time will not be as satisfying. There is precedence for paying workers different compensation for doing the same work. Think about teachers where first-year teachers make far less than tenured veterans. It is not like the responsibilities of a veteran teacher is that much different from a first-year teacher. They both need to develop similar curriculum plans, conduct classroom activities, and perform departmental functions. Teaching our youth about delayed gratification and “paying your dues” is an important lesson to learn. There are downsides to this strategy in that higher adult minimum wage will be more burdensome to small businesses. While large chains, such as McDonald’s and Burger King, can rely on significant economies of scale and technology investments within their business model to absorb higher labor costs, less resourced small businesses will find it difficult to adjust to shrinking profit margins brought by more expensive low skilled workers. In particular, day care centers where many of your low-cost start-ups occur could be particularly vulnerable where current child care workers earn a median wage of $9.38. Additionally, a 19-year old teenager, who is about to turn 20 years will be particularly vulnerable when his wage jumps by almost $4 an hour. Suppose he or she needs to support a family. This jump in wages will make him or her more vulnerable and replaceable. Certainly, the two-tiered minimum wage has its faults, but its potential to alleviate poverty and increase teenage worker productivity are worthy, enticing pursuits.